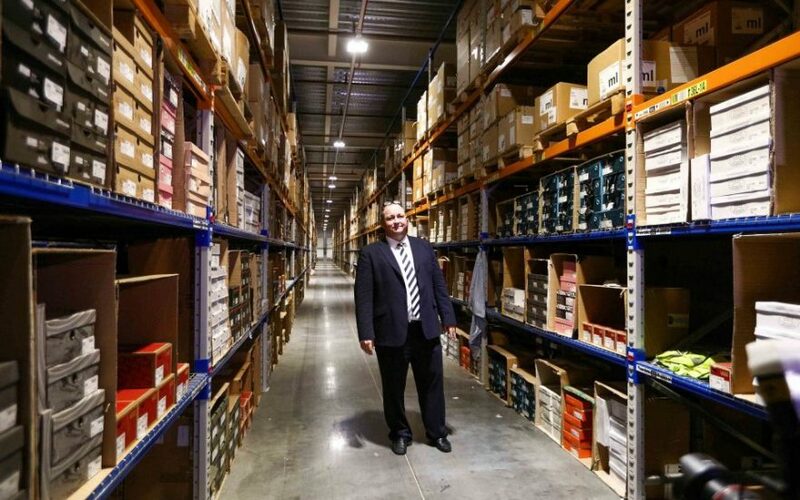 Shocked MPs were left fuming after staff at Mike Ashley‘s Sports Direct apparently attempted to spy on them using a camera hidden under a plate of sandwiches. Members of the business select committee paid the controversial retailer’s Shirebrook site a surprise visit earlier today, as part of a long-running investigation into conditions at the company. However, the cross-party group of politicians were left flabbergasted after a device was brought into a private meeting they were holding to discuss the findings of their unannounced three hour visit. Politicians immediately hit out at the news, with Peter Kyle MP describing the incident as “stupid and disappointing”. Business, energy and industrial strategy committee member Anna Turley told City A.M. that shortly after their meeting started, a woman came in with a tray of sandwiches to provide some welcome sustenance to the politicians after a day of traipsing around the 800,000 square foot site. Instead of putting the sandwiches on the table in front of the hungry MPs, they were placed on a side table. “I watched her do it because I thought it was odd and I saw her put a recording device on the floor underneath the chair,” said Turley. I couldn’t believe my eyes, it was a camera with a microphone that they had been filming us with the whole way round because they filmed every question we asked and every thing we did. They’d got the poor sandwich woman to come in and hide it. Turley went to pick up the camera while a colleague confronted Sports Direct representatives. Minutes later Turley spoke to Sports Direct’s public relations representative, who offered a less than convincing response. “He said ‘well how do you know it wasn’t already there in the room’ and ‘I didn’t know anything about that’,” the Redcar MP said. Sports Direct previously agreed to an unannounced visit from MPs in the wake of the investigation into working practices at Shirebrook. The committee phoned ahead this morning at 9.30am, giving the firm three hours notice. Sports Direct has not provided a response to City A.M on the matter at the time of writing.